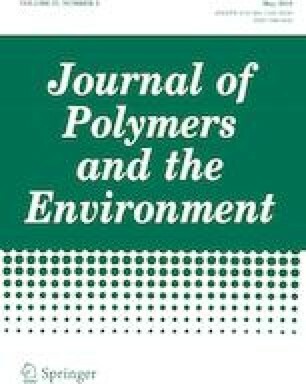 The combination of biopolymers and clay minerals to form new composite materials offers new horizons and promises to reveal a great potential in the efficient removal of hazardous pollutants from wastewater. The adsorptive removal of Acidol Red 2BE-NW (AR42) with carboxymethyl cellulose/organo-bentonite (CMC/OBent) composite is investigated. The composite is characterized by means of Fourier-transform infrared (FT-IR) spectroscopy, X-ray diffraction (XRD), scanning electron microscopy (SEM), thermal gravimetric (TG) analysis, Brunauer–Emmett–Teller (BET) specific surface area and Barret–Johner–Halenda (BJH) pore size distribution analyses. The adsorption of AR42 anionic dye from aqueous solution onto the CMC/OBent composites is assessed by varying parameters such as the mass ratio of CMC to organo-bentonite, the pH value of the dye solution, the temperature, the contact time and the initial dye concentration. The organic modification of bentonite stimulates the intercalation of CMC molecules into the interlayer space of organo-bentonite. An intermolecular as well as an intramolecular linkage (interaction) among CMC molecules and organo-bentonite platelets is observed as evidenced by the FT-IR analysis. Dye equilibrium uptake is reached within 60 min, yielding a maximum dye sorption of 91.14% at a pH of 5.2, with an adsorption capacity of 29.16 mg/g at 25 °C. Adsorption kinetics of AR42 onto the CMC/OBent composite is best described by a pseudo second-order mechanism, while its adsorption isotherm fits well into the Freundlich equation. The potential for AR42 dye removal with CMC/OBent composite is discussed.